Color correct, hydrate, and cover up in one easy step. This color correcting, tinted hydrator contains all-physical broad-spectrum protection in SPF 40, available in two blendable shades for all skin types. This innovative three-in-one formula is designed to give your complexion an immediate dewy glow, while its intelligent color correcting complex helps cover and correct the look of imperfections such as redness and discolorations for instant radiance. Get these incredible benefits while protecting your skin from harmful UV rays. Use daily in the AM as the final step in your skin care routine. Apply liberally over face, neck, and chest 15 minutes before sun exposure. Apply second layer for full coverage. 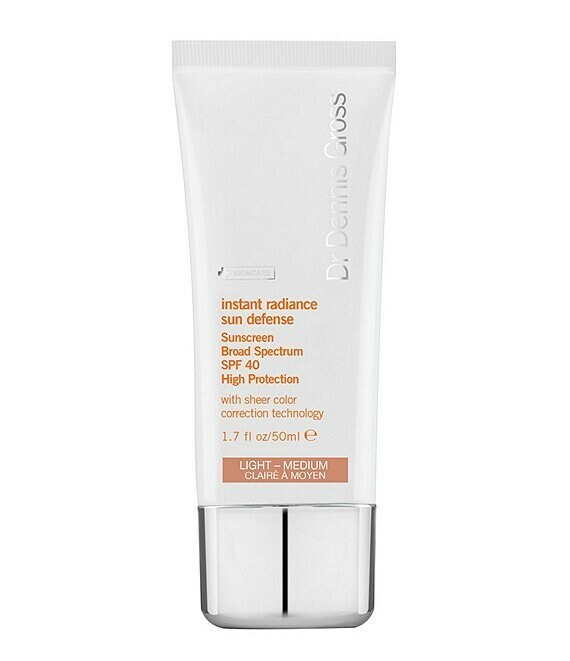 What It Is: An illuminating, color-correcting and skin-blending tinted moisturizer that provides a flawless complexion while defending skin against harmful free radicals and UVA/UVB rays with broad-spectrum SPF 40 protection. What's In It For You: If you have dull, lifeless-looking skin seeking an immediate luminous glow, this tinted moisturizer with all-physical, broadspectrum sun protection gives an instantly smooth and radiant complexionwhile preventing signs of aging from forming. Formulated with an intelligentcolor correcting complex comprised of vitamin C, melatonin, and color expertactives, this product contains pigment adaption technology that perfectly blendsinto most skin tones while enhancing radiance. Additionally, it targets skin'sproblematic areas to cover and correct the look of imperfections such asredness and discolorations. Immediately, skin appears flawless, incandescent,and hydrated no additional makeup required. How To Use It: Use daily in the AM as the final step in your skincare routine.Start with clean, dry skin. Apply liberally over face, neck, and décolleté 15minutes before sun exposure. Apply second layer for full coverage.